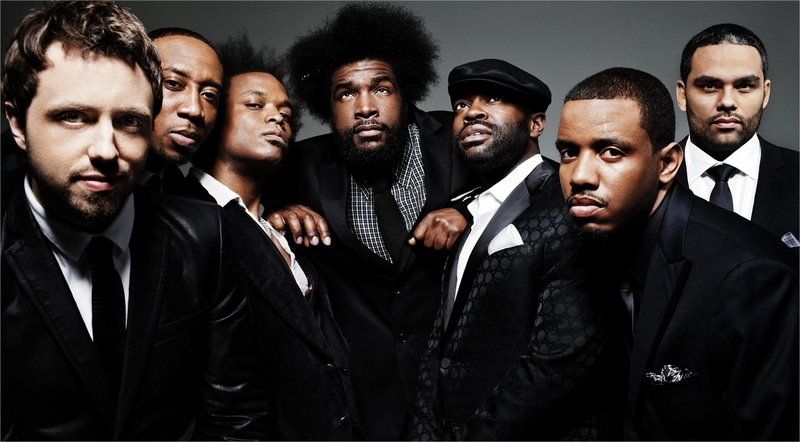 If you’ve followed The Roots over the years, you’ll know that it’s pretty rare for a hip hop group to have released nine albums….hell for anybody in any genre of music, to release nine albums it’s an achievement. Then on top of that, The Roots live, they know ALL the hip hop classics, and can drop any at a seconds notice from bandleader, drummer ?uestlove. How many lyrics are in Black Thought’s head?! How many songs to they know and can perform? They can flip it with anybody, anybody, Bruce Springsteen, Mary J. Blige, Kanye, Q-Tip, Dilla, Prince….ill, no doubt. We are lucky they haven’t taken a bullet to the chest coming from Killadelphia, where the body count for this year is already 50 dead. I so love the Roots! I turned my son on to them a few years ago and the boy is hooked.He has been introduce to so many artist just listening to the Roots. He has such an appreciation of music that extends beyond hiphop and rap. These guys will be around for as long as they wanna be,and we’ll keep on supporting!